Night Lights tells the story of a terminally ill boy confined to the four walls of his bedroom. The only escape he has is hearing the stories told to him by his mother. Until one night, searching for a favourite toy leads to the discovery of a hidden void underneath his bed, a void that leads to another world. Alex has to make a choice. Does he choose to stay in the world with his mother, or does he choose to venture into the new one without knowing what it could hold? Night Lights is a fantastical tale that will be told by an incredible cast & crew, about understanding mortality and how a light can be found even in the darkest of places. We need your help to raise this money and bring our film to life. We are a group of third year Film and Television Production students at the University of York. In October this year we got together with the shared aim of producing a stunning and fantastical short film. We want to showcase the skills we have developed on our course; skills that have already allowed us to create films that have been screened at film festivals in the UK and around the world, picking up awards along the way. Our aim is to tell Alex's story by creating another piece of exceptional work. We will be spending your money wisely and that is why most of our budget will be spent on location, props and set design in order to create a visually immersive film that supports our compelling story. 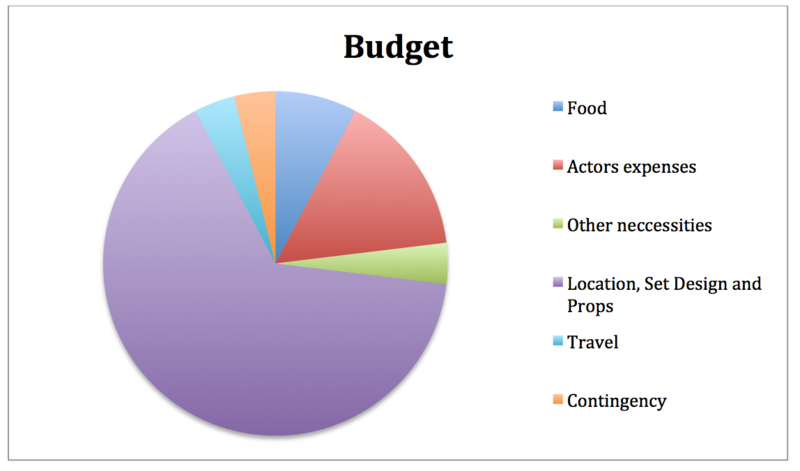 As we are a student production, we are not permitted to pay any actors so therefore we aim to cover all their travel, accommodation and food expenses as we don't want them to go out of pocket. We also need to keep a little money aside, as with any film, we may encounter some bumps along the road, and will use this for (hopefully few) mishaps. We will be posting regular updates to keep you in the loop with our progress. We realise how challenging this story is going to be and that is why we need your help. Any donation you are able to provide will be appreciated, no matter how small or large! Whether it’s donating the cost of your regular cup of coffee or coming to one of our fundraising events, whether it’s sharing our Facebook page or liking us on Instagram – to quote Tesco – every little helps! Donating also means that you too can be a part of this incredible project in making it happen. We are very passionate to start creating this project and we want you to be a part of it. So please donate now on our YuStart page, like us on Facebook and follow us on Twitter and Instagram! Start donating now and start reaping the rewards, we have a lot to offer from shout outs to a digital download of the film, and there may even be a chance of a handcrafted wooden horse! A big thank you from all the Night Lights Team! Suzanne, Joe, Jay-Jay, Hannah, Jonny, Alex, Tahnee & Rebecca. If you donate £3 or more, you will receive a special email from the cast and crew to say a big thank you for your support. If you donate £5 or more, you will receive a thank you shout out on twitter! If you donate £10 or more, you will have your name as a special thank you in the credits of the film! If you donate £20 or more, you will receive a special thank you in the credits and your very own digital download of the film! These generous donators will receive a special thank you in the credits and their very own signed copy of the finished film! These generous donators will receive a special thank you in the credits and the opportunity to have a personal prop placed in the film! This generous donator will receive a handcrafted wooden horse that will be featured in the finished film!